You want to ride steep faces and become more confident in technically difficult terrain? Thanks to many years of big mountain experience and the know-how of a professional carreer, we will get you ready for the highest level of freeriding. Learn about line choices, sluff management and danger evaluation. Breathtaking couloirs, exposed spines and big cliffs are waiting for you. 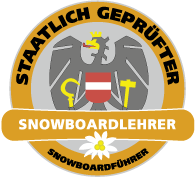 Nur durchführbar wenn Wetter und Schneebedingungen zu 100% stimmen! It is always exciting to explore new areas nearby.